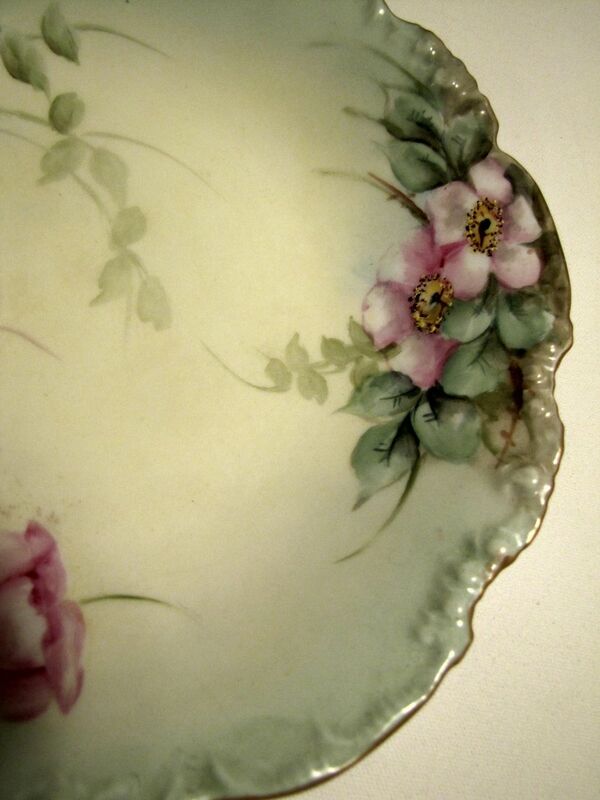 Gorgeous hand-painted Jean Pouyat Limoges bowl - circa 1890's. 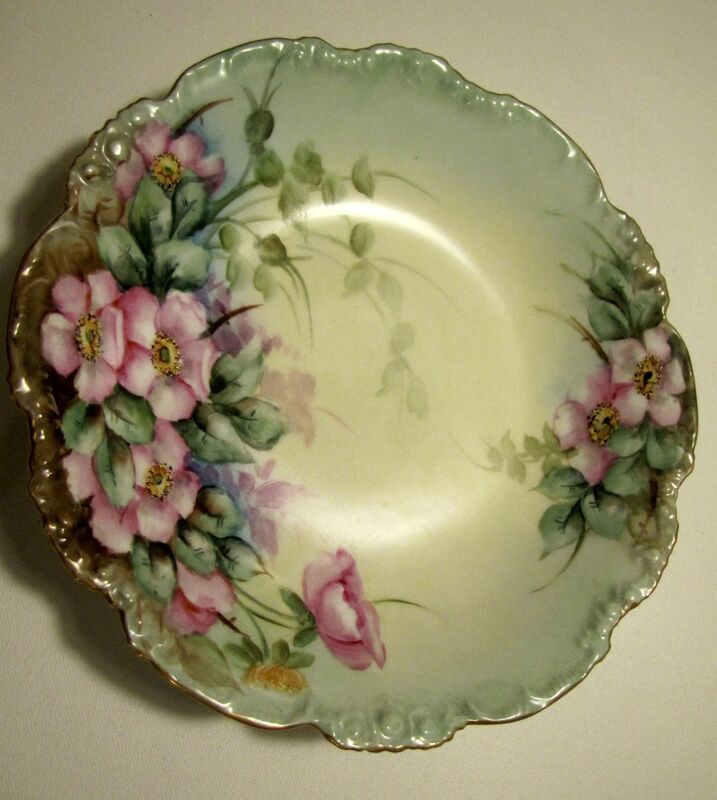 The bowl has beautiful roses, leaves and other flora painted on it and has an embossed and scalloped edge painted in gold leaf. 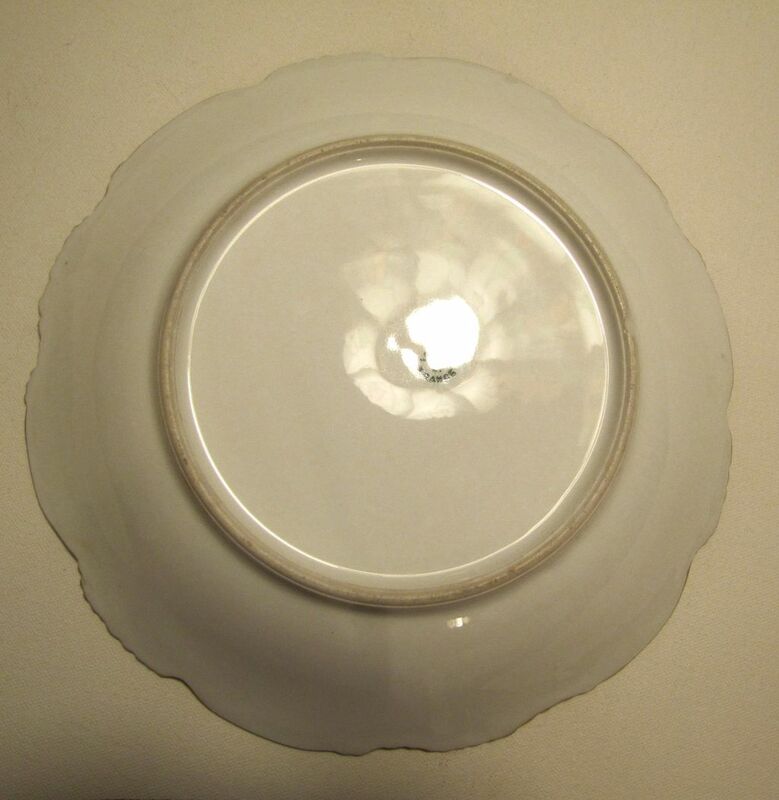 It is a good size measuring 9 1/2" in diameter and stands 1 1/2" tall. 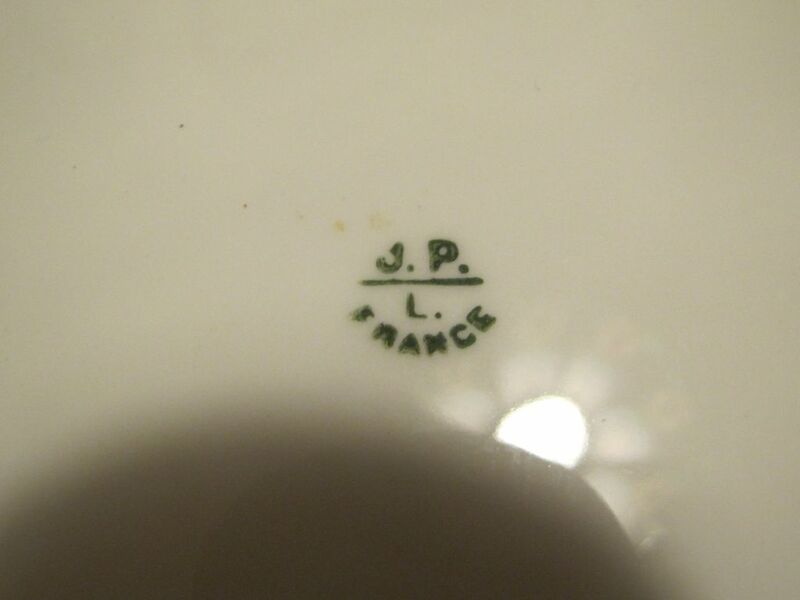 The underside is marked with JPL France mark. 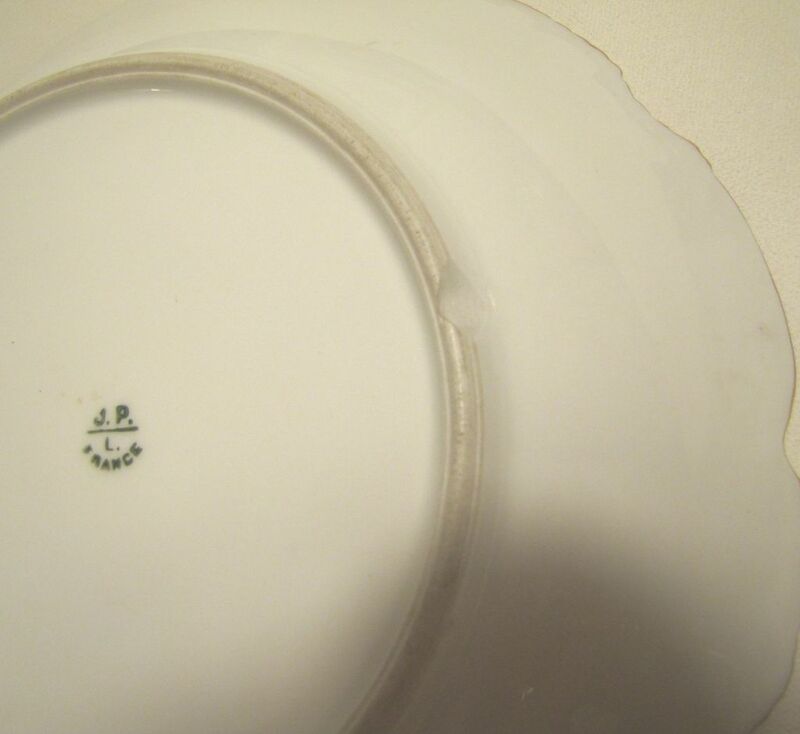 There is a small chip on the underside rim, otherwise it is in good condition.